This begins a difficult topic. In late January 2012, the Ukrainian Church on the Rynek began extensive renovation work. Below the church there exists a large underground cellar. Human remains were found here. 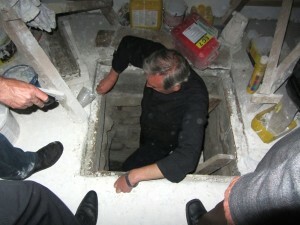 Discovery of bones under the Ukrainian Church. Photo © 2012 Mikhailo Vorobets. The location of these bones and this portion of the cellar – several meters below street level – is across from the building that formerly housed the ghetto synagogue and mikvah during the Occupation; the former, judenrat building is just a few meters away, along the same road. (Please see my past postings to the group and links to photos if you are not familiar with these buildings. For example, the box of Jewish paper scraps that were found in 2011 were found in these buildings). 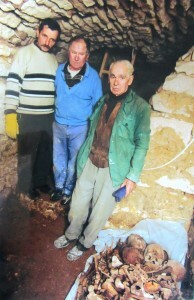 The workmen’s hatch entrance to the Church cellar. Photo © 2012 Jay Osborn. Today, the cellar is accessible through a wooden slat “hatch” inside the Church itself. There is also an exterior entrance at street level (though locked) next to the monument on the street side of the Church to those Ukrainians shot there by the Soviets. There is also a second exterior door to the cellar at this same street location. Under Soviet times, the cellar was used to store ice blocks (pre-refrigeration). According to Mr. Vorobets, when the ice room was created, plaster partition walls were built which broke up the greater space into smaller spaces. He believes the Soviets found these bones during this project and pushed them aside. The partitions were then built, and for the last many years, the bones have remained sealed behind a partition wall and not visible. When the bones were found earlier this year, Mr Vorobets, as town historian, was notified. At his request, an examination was ordered and an official report made by a local doctor named Dr. Vasely. 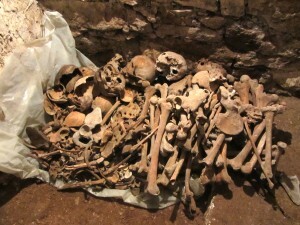 The carefully-stacked bones in the cellar. Photo © 2012 Jay Osborn. Both Mr. Vorobets and the Priest believe it is highly likely these bones belong to Jews who had been in hiding below the Church during the War. As many of you may know, there are many stories about Rohatyn’s purported underground “bunkers” and tunnels. I, for one, recently wrote the group about a book on SS Jurgen Stroop in Galicia, in which he expressly recalls the tenacity of those Jews in hiding and their cleverness in creating faux entrances to lure the Nazis into the bunkers and tunnels, then setting off pre-rigged explosives. 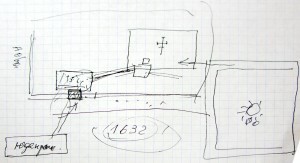 Sketch by Mr. Vorobets of the wartime geography around the church. Photo © 2012 Jay Osborn. There are also several persistent stories about Nazis flooding Rohatyn’s tunnels and bunkers as well as pumping carbon monoxide from military vehicles into them to kill the Jews hiding inside. Mr. Vorobets believes this particular cellar may have been part of a larger labyrinth of tunnels dating from medieval times. Last year, when Jay and I visited Rohatyn’s ancient Holy Spirit Church at the river (located at this end of town), the docent mentioned that some tunnels were rumored to have run from town center to the church itself. In its early years, the church also functioned as fortification against attacks by the Tatars. Mr. Vorobets also recalled instances over the years after heavy rains when the ground would subside and sink, or construction would be started, revealing underground tunnels and passageways. He recounted how a man from the Rohatyn museum crawled into one such newly-exposed tunnel, then became unconscious from the fumes and had to be rushed to the hospital. 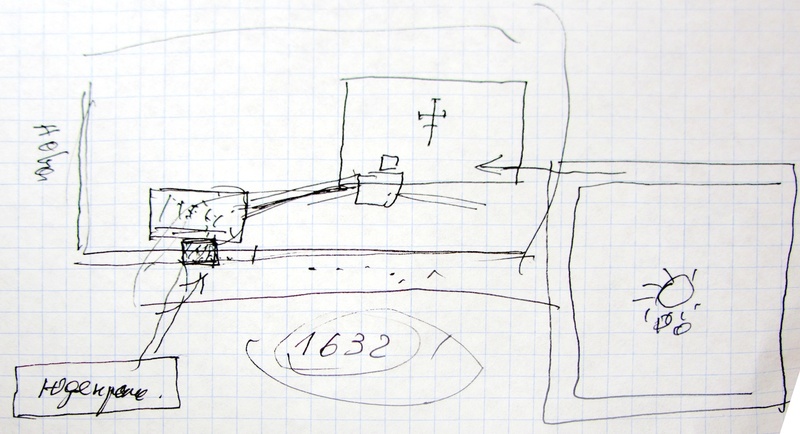 According to Mr. Vorobets, some of the more elaborate tunnels were made of bricks. 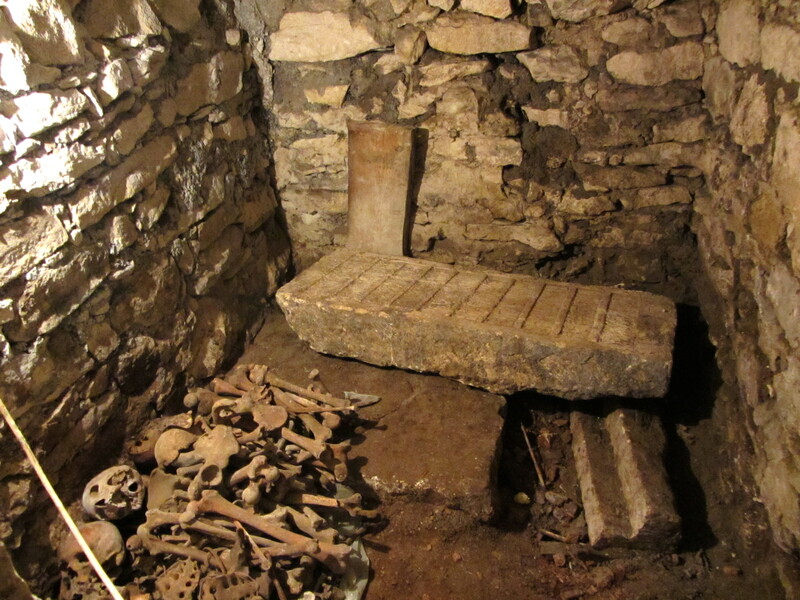 The stacked bones and the stone block in the cellar space. Photo © 2012 Jay Osborn. 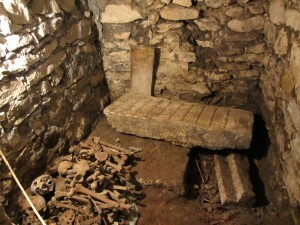 Two other “artifacts” were found in the same space as the bones: an old German bicycle (not still present) and a large Cyrillic stone-carved sign stating that the church dates from 1605. Alex Denysenko has spoken with Rabbi Moshe Kolesnik, Chief Rabbi of the Ivano-Frankivsk region. The Rabbi told Alex that he believes the remains are likely Jewish. He, like the Priest of the Ukrainian Church, would like to see them properly buried, and has promised to contact the Priest to arrange this. If anyone in the group would like to get more involved with this, or has comments and opinions, please express yourself as soon as possible. At present, the Priest advises that a common coffin has been made for the remains. We did not see the coffin. © 2015~2019 Rohatyn Jewish Heritage. Registered Ukrainian NGO / ГО «Єврейська спадщина Рогатина» 41047464..